We know every restaurant is different, and that one-size-fits-all plans means no one wins. We will work with you to build a package that helps your restaurant succeed. 24/7 US-based customer support and software upgrades included in all packages. Build a package that fits your unique needs. Whether you are looking to increase revenue or streamline your operations, we have the right technology solutions for you. Extend your point of sale with more modules and integrations. Pick-up and delivery on your own customizable website. Engage your customers with an easy-to-use rewards program. Looking for a kiosk? Accessories? See all hardware. 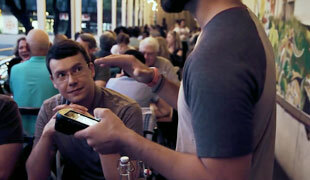 Order and pay at the table handheld, built for restaurants. High-performance kitchen screens to seamlessly connect your front and back of house. Our expert team can handle everything from system installation, menu set-up, staff training, to go-live support. Install your own system with live phone support from Toast experts with you every step of the way. Toast experts lead your team through the go-live process onsite, including staff training. Question: What is the cost for support? Answer: Support is included in the software subscription, giving you access to real, U.S.-based employees via phone, email, and web 24 hours a day, 7 days a week. Question: How much do software upgrades cost? Answer: Like support, software updates and new feature releases are included in the software subscription, so you’ll always have the most up-to-date software and newest features powering your restaurant. Question: What are the upfront costs? Answer: The upfront costs for Toast are hardware and implementation, which vary depending on your specific hardware packages and installation needs. Question: Why do you charge for implementation? Answer: We are dedicated to our customers success, and want to provide the easiest transition and best possible go-live experience. We charge for implementation in order to provide a customized experience that will ensure your restaurant's success. Question: What happens if one of my terminals breaks? Answer: Our commercial grade Elo terminals are built specifically for restaurants and come with a 2-year warranty. The Elo Order and Pay at the Table tablets come with a 1-year warranty. We also offer additional warranty packages for extended coverage. Question: Who is the credit card processor? Answer: Toast handles the cc processing for all of our customers. Toast offers a flat rate credit card processing structure, so you always know the exact rate you are going to pay regardless of the type of card that is used. The reason that we insist on acting as the processor for our customers is it allows us to offer unique POS features and functionality. Our customers can tie their rewards accounts to their credit cards to earn points automatically when they pay with their cards. In addition, anytime a card is swiped, the system collects and stores data about that customer. Over time you'll build a detailed customer database that allows you to easily see which customers visit most frequently, who spends the most, and other key detail about your customers that can be used to provide a better experience or to fuel personalized marketing campaigns. Please view our payments page for more information. Question: Will I also need to purchase a 4G stick so I can use the devices if wifi goes down? Answer: The Toast terminals are hardwired, so they do not need wifi at all. In addition, Toast offers an offline mode, so your terminals and handheld devices will be functional even when you lose internet connection. Question: Can I use my own hardware? Answer: Certain hardware is compatible with Toast, but we strongly advise against using your own hardware even if it is compatible. We recommend against using your own hardware as it prevents us from ensuring your success, as we cease supporting any equipment not purchased through Toast. We don’t simply ship out hardware, we spend time configuring each device so it is optimized for the Toast setup.